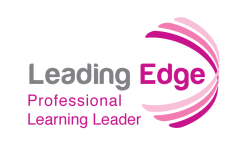 In this module participants will explore different approaches to the delivery of professional learning and gain an understanding of the affordances and challenges of the different learning environments. The module begins by looking at how to make the traditional face to face workshop or training more participatory. We will continue with this theme as we explore flipped, blended, and online professional learning. We will learn how a variety of events, communities, and social media tools allow us to expand our Professional Learning Network which provide opportunities for ongoing, self-directed learning. Finally, we will explore some new and exciting low-cost, informal professional learning opportunities.